The Thrifty Groove: Candy Making Kit Review and Giveaway! Candy Making Kit Review and Giveaway! I had the pleasure of receiving this "Make at Home Candy Kit" from the folks at GleeGum. Let me give you just a little info about Glee (Verve) products. Verve's commitment to environmental and social justice is twofold; first, we closely monitor the environmental and social impact of our own business practices, and second, we create products and curriculum that help children think about environmental and social issues in innovative, interesting, and developmentally appropriate ways. 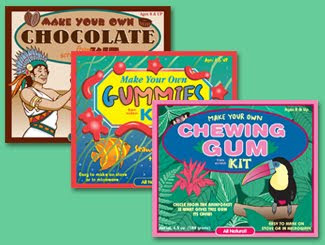 Besides the great gum, which I was able to try and really like, They also carry a line of candy making kits. I chose the Gummies to try with the little Princess. If you click "Gummies" in this paragraph, you will find the cool story of where and how the Gummies candy ingredients came from. Here is our step-by-step making of the Gummy candies. 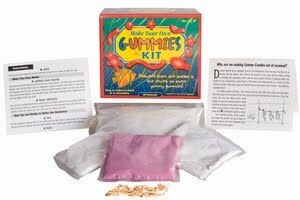 The Make Your Own Gummies Kit comes with everything you need to make gummy candies. Included is a brochure that explains that they use plant based seaweed as a thickener instead of animal based gelatin. You soak the seaweed in water. Then, while it is soaking, you pour the molding starch out on a plate and make your molds. I used the back of a teaspoon. You can make them any shape you want. and add the flavored, colored sugar. You heat it until it foams and pour it into the molds you made. Then you take it out and coat it with sour crystals. Any candy that was left over can be reheated, you make new molds and pour the rest. My second batch was a little stiffer and harder to pour, so next time I make these, I would make more molds and pour them all the first time. Not only was this fun for me but, the princess had a blast thinking she was making her very own gummies! She loved them and showed everyone who came over the candy she made! This is such a fun thing to do with your kids or grandkids! They will love it and have a blast! You can also find these products in retails stores across the country. Check it out HERE! And to get the latest info on Glee products, follow them on Twitter HERE! I am sorry but, this product can only be shipped within the Continental US. **Leave a comment telling me which Candy Kit you would like to try. **Leave a second comment if you are a follower of The Thrifty Groove or if you just became a follower. So, enter to have some fun with your kids or grandkids. This would also make a really fun gift for a child in your life! Disclaimer: I received a candy making kit and packages of gum to try and review. All opinions are completely my own. I was not compensated in any other way for this review and giveaway. I am a follower and really enjoy your blog! Oh MY GOSH! The boy would LOVE this! I would try the gummy kit! I can only imagine who much fun he would have with this! This looks really good!! I would love to win the chocolate candy making kit! Thanks for the opportunity!! Hi! I'm also a follower and would love another chance to win-any of the kits-but who doesn't love chocolate best!! Oh~~forgot to mention ~I love your new heading! Lovely! I don't know chocolate or gummies....chocolate or gummies. I guess I would go with gummies since I've already made chocolates. I'm a follower of the thrifty groove. 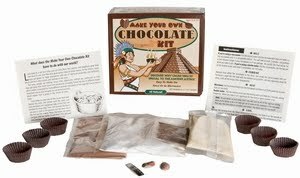 I would like to try the Make Your own chocolate kit. 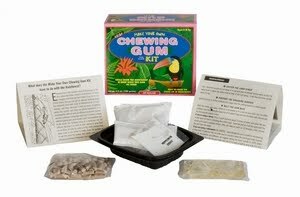 I would like to try Make your own Chewing Gum Kit. 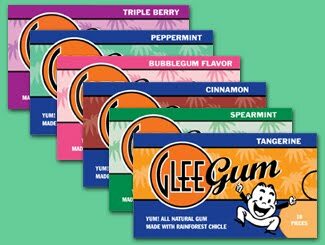 If I gave the gum-making kit to my niece, my sister would kill me. I have always liked to live dangerously. Thanks for the giveaway!